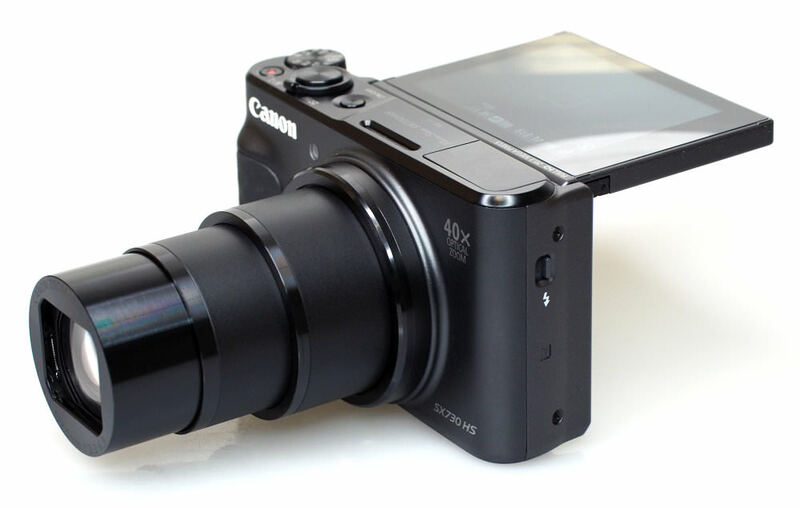 Canon's latest travel zoom, the SX730 HS, features a 40x optical zoom lens and tilting screen. Find out how it performs in our review. 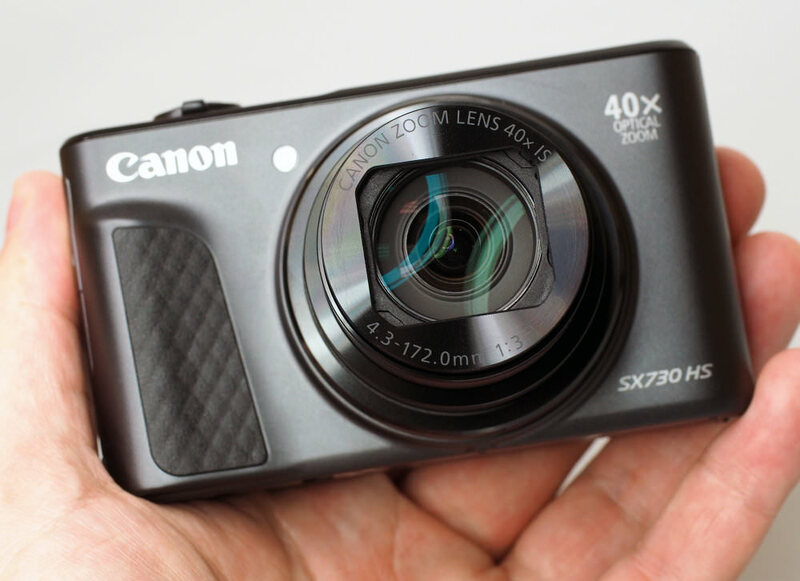 The 20 megapixel Canon Powershot SX730, like the SX720, offers the most optical zoom in a compact travel zoom camera, with an impressive 40x optical zoom lens! This year's update has added a new tilting screen, as well as Bluetooth. The 40x optical zoom lens gives the equivalent of 24 to 960mm in 35mm terms, and macro focus can focus on subjects as close as 1cm. The camera offers an "intelligent image stabilisation" system, which uses optical image stabilisation plus 5-axis advanced dynamic image stabilisation. ZoomPlus gives a further 80x reach to the camera, and the Advanced Zoom Framing Assist function will zoom in / out to compose your shot according to the number of people in the frame. The Powershot SX730 HS offers an impressive lens reach, the most optical zoom of any travel zoom camera currently available, making it perfect for those who are fans of travelling. There is a 20.3 MP BSI CMOS sensor, and the camera will shoot up to 5.9fps with continuous shooting active. FullHD movies can be recorded in MP4 format at up to 60fps. Canon’s Dynamic Image stabilisation and Auto Level feature ensure camera shake doesn't spoil the movie. There's also a Short Clip Movie function which allows users to select four, five or six-second clips from the footage captured which can then be played back in a variety of ways, including slow motion and double speed. The camera has manual shooting modes, auto shooting, plus a number of scene modes and creative effects. Manual Focus (MF) peaking is available in both still and movie mode and the 'Creative Shot' automatically creates five versions of an image with various filters and effects applied. There's a Story Highlights mode which can be used to view footage without editing it and various photo effects are available. NFC, Wi-Fi and now Bluetooth are built-in so that you can connect the camera to your smartphone or tablet, for transferring images, and remote control, using Canon's Camera Connect app. You can use this to add GPS location information to photos as well. 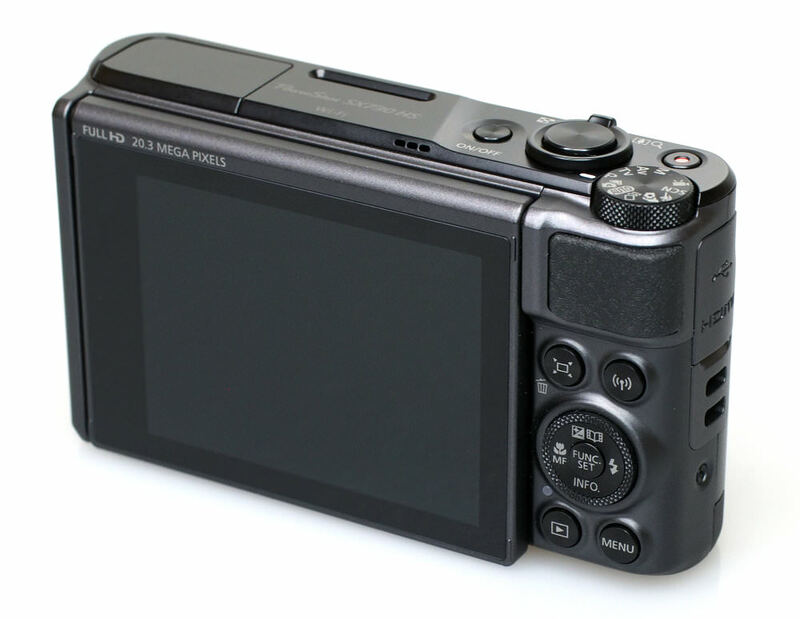 If we look at the main competition, the options include the Canon Powershot SX730 HS, Nikon Coolpix A900, Panasonic Lumix TZ90, and Sony Cyber-shot HX90 (not shown). 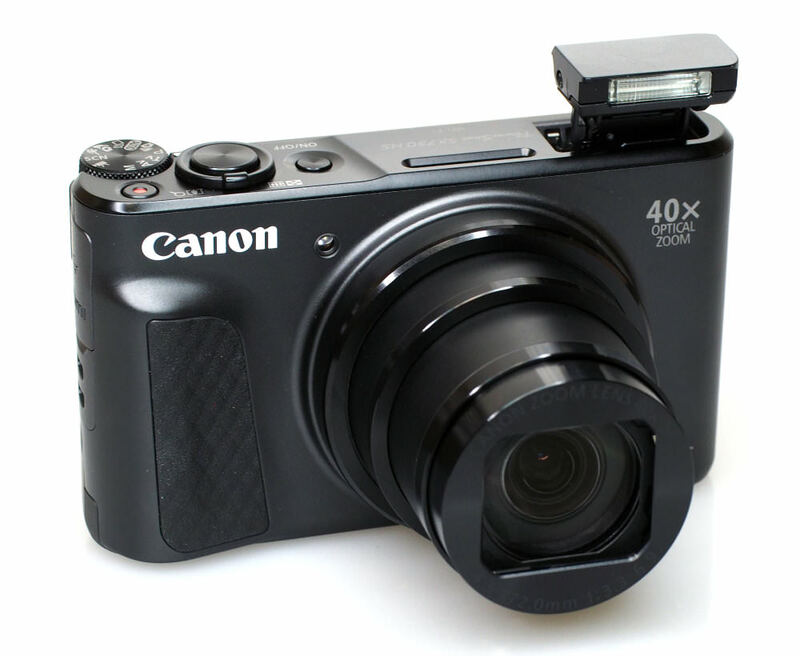 The Canon Powershot SX730 HS offers the most optical zoom, with a 40x optical zoom lens, however, the camera doesn't offer 4K video. The mode dial has been moved to the top of the camera, and on the back, you'll find a zoom assist button, wireless connection button, 4-way controller/scroll wheel, Func/set button, playback and menu buttons. With the addition of the tilting screen, the SX730 is larger than the SX720, and while it will fit into jeans pockets, the camera will be much happier in a jacket pocket. Of the three cameras below, it's one of the thinnest, at just under 40mm, with the Nikon Coolpix A900 slightly bulkier, and the Panasonic Lumix TZ90 the thickest at over 40mm. The size of the SX730 is impressive, considering the 40x optical zoom lens offered. Canon Powershot SX730 HS Vs Nikon Coolpix A900 Vs Panasonic Lumix TZ90 - Canon packs in a 40x optical zoom lens in a camera roughly the same size as the competition. The Canon offers a mostly metal body (front, back and bottom), giving the camera a premium feel. The front features a rubber grip for your fingers, and the rear has a rubber thumb grip giving something to hold on to, although we would recommend holding the camera with two hands, as you'll need to hold the camera as steady as possible if you want to get sharp shots when using the full 40x optical zoom. The screen looks good and is clear and bright, making it visible outdoors. The screen can be tilted forwards for easy selfie shots, and being able to tilt the screen helps make it easier to shoot from different angles. 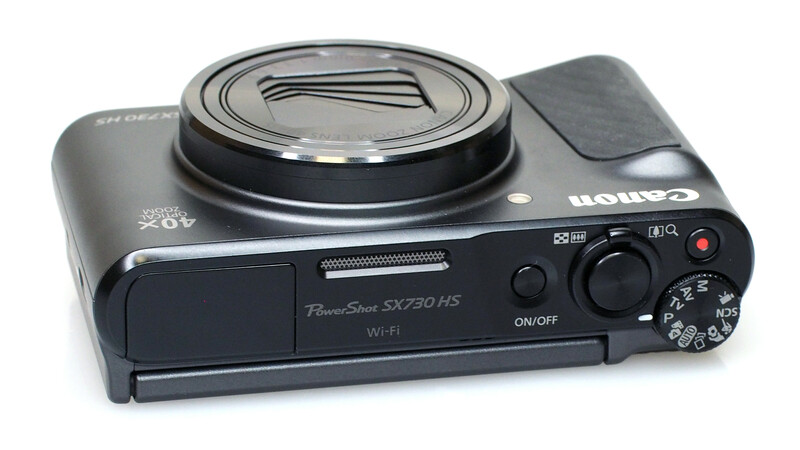 The menus on the SX730 HS aren't the same as found on more advanced Powershot, and EOS cameras. However, they are clear and easy to read, with built-in help. The number of options available varies depending on which mode you're in, and the Func / Set button lets you change settings on the rear screen, without having to go into the menus. Wi-Fi features - Entering the Wireless connection menu on the camera, you can transfer images between cameras, connect to a smartphone, connect to a computer, print from a Wi-Fi printer, or upload to a Web service. 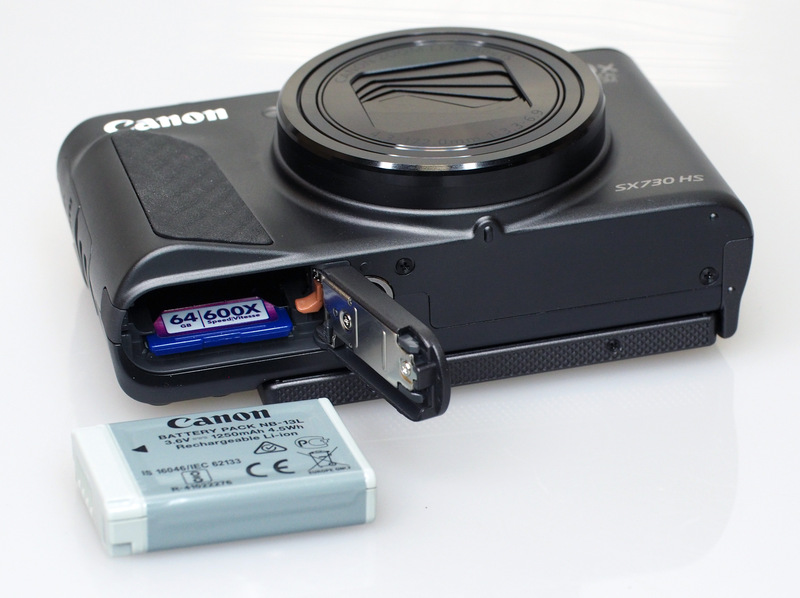 Setting up the connection to the camera from a smartphone is quite straightforward, with Canon Camera Connect featuring a built-in guide. If your device supports NFC, then this can be a quicker way of connecting. You can use the app on your phone to send location data to the camera so that images will have GPS tagging. Battery life - Battery life is rated at 250 shots according to Canon / CIPA test results but can be extended to 355 shots using the ECO mode. This is a little short, unless you switch to the ECO mode, so a spare battery may be a good idea.